As a songwriter, you spend a majority of your time refining and iterating your work until it’s perfect. Once you’re done, sharing it with the world is equally important, but there’s more to it than just uploading it to Spotify or Youtube. You deserve to get paid for all the hard work and countless hours you spent creating a work of art. This means collecting royalties - payments made from one party to another for the right to use a composition on an ongoing basis - in every capacity, all across the world. These royalties are categorized by performance and mechanical, and paid out by a variety of organizations. Performance royalties are earned anytime your original work is publicly performed. Examples include public performances like gigs and touring, and digital performances like when your song is played digitally in a store or restaurant. Mechanical royalties are earned anytime there is a reproduction of your copyrighted work. Examples are if your song is streamed on Spotify, Apple Music, and other streaming platforms such as Youtube. This also includes when your music is sold physically such as a CD or vinyl. When you’ve finished your song, you own the rights to that composition and your ownership gets broken down into two parts - writer’s share and publishing share. If you’re the only writer, you own 100% of both, and if there are multiple writers, the percentage gets broken down according to how you agree to split it up. However you break down your ownership - you qualify for royalties in a variety of ways! The publishing world is often messy and convoluted, and not all royalties are available to individuals looking to handle their own publishing, unless you want to run a full fledge publishing company. This doesn’t mean you HAVE to be under a label or have a manager. All this means is you have to do your homework or, at bare minimum, you need to register your songs with PROs (performance rights organizations). 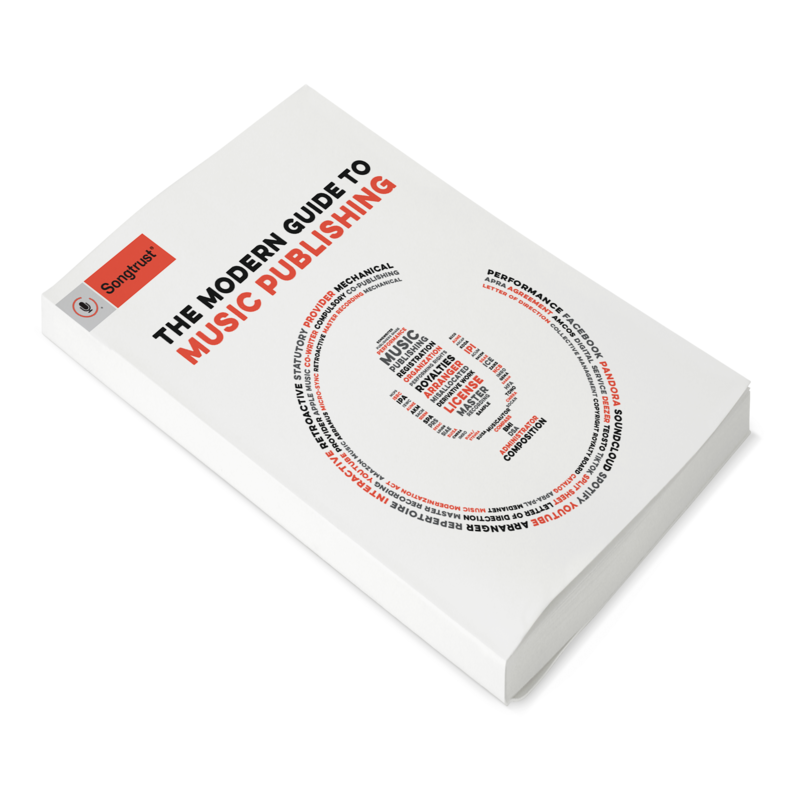 You should seriously considering working with a publisher (if you have the chance, or use a publishing administration service like Songtrust) to increase the speed, expand the territories and license your work to a more broad set of licensees. In today’s music industry, there are several options for publishing, including publishing administration (what Songtrust does!). In publishing admin, the songwriter - that’s you - keeps ownership of your copyright and give a small percentage, in the form of an admin fee, for a set term, to your publisher. These fees can vary - Songtrust asks for 15% for the term of one year - and, most importantly, doesn’t take any ownership or control of your copyright. Oftentimes publishing administration isn’t a one-stop, full service offering - meaning they won’t distribute your music to the public or offer creative services. However they will help you properly register with any recommended PROs and should work closely with these organizations to collect royalties worldwide. Another huge benefit is the collection of mechanical royalties - as these are not readily accessible - and gathering those royalties worldwide. In a nutshell - a publishing admin deal should offer you support, resources, and a stress-free way of collecting the money you deserve. For more information on what services and features that Songtrust offers as an publishing administration deal, reach out on the Songtrust contact page. Don’t let your hard work go to waste!